Feeling like your dietary choice doesn’t apply to all the ordinary guidelines for losing weight? Don’t fret, we can help! Eating as a vegan can be a great lifestyle choice! It may just take some assistance to transform your basic meals into delicious gourmet dishes. If you are ready to try a vegan or plant-based diet, give these tips below a go! 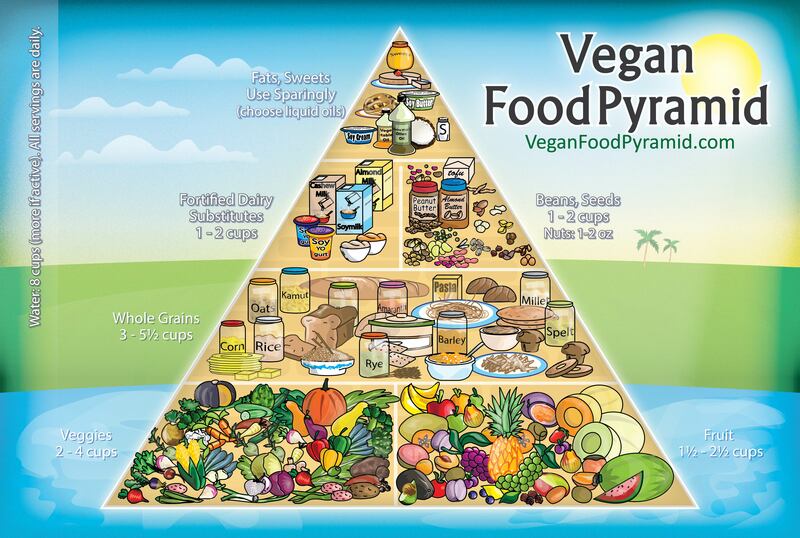 If you are a vegan beginner, the food pyramid is key to the root of your knowledge. 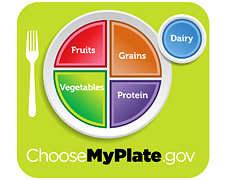 Utilizing this pyramid is a great way to help people eat healthier in simpler ways. amount of intake for you is key because everyone is different. For example, one source suggested that for meals a “plate” size we should be filling half of it with fruits and vegetables. Leaving room for grains and protein, but if you try eating the veggies first, you may find that you are filling up quicker and on healthier foods. Breakfast: 6.00 am – 8.00 am – Breakfast is the most important meal in a day so make sure to get enough nutrients in your breakfast. You can eat oatmeal, eggs, peanut butter, yogurt, etc. Lunch: Before 3.00 pm – Enjoy a salad, sandwich, eggs, etc. Protein is a great substance for losing weight. Health Line has helped teach us that it can change hormone levels, reduce appetites, and boost muscle growth. With high amounts of protein, burning more calories and fat may actually seem easier. However, many people think that the more protein we consume, the faster the weight loss process occurs. In fact, it is of great importance that we eat the adequate protein levels to get the best result. Vegan eaters can choose suitable foods with protein such as fruits and vegetables to help steer clear of meats. Some of these options include spinach, mushroom, cucumber, tomato, avocado, and guavas. A calorie is the unit of energy needed to raise the temperature of 1 gram of water through 1°C. According to Women’s Health Magazine , each day a woman needs to consume 1200 calories, whereas a man needs to consume more, about 1800 calories per day. Cutting down on calories does not mean that you have to skip meals, it’s just becoming smarter about what you choose to consume. Foods with plenty of nutrients in them for example can help with that. To help stabilize calorie amounts, you should drink at least 8 glasses of water every day, reduce carbohydrate intake and eat more protein-rich food. Helpful small tips like eliminating sugar added to tea and coffee can make all the difference! Food contamination becomes one of the most severe issues in the world nowadays. There are too many vegetables, fruits, and other foods that are made with rotten materials and chemicals. Therefore, consider trying the organic foods. Although they're a little bit more expensive than the conventional food, you will receive more benefits from them than you think. People plant and produce the organic food in farms where the environmental factors are much better: less pollution, conserved water, fewer pesticides, etc. In result, they contain many nutrients such as protein, fiber, vitamins, omega-3 fatty acids, and more! Moreover, the organic food has many advantages on our health. According to Food Navigator, recent studies have shown that organic food consumption has proven a boost in immune system stimulation. Eating whole grain can be a very helpful step to staying vegan. There are some controversial ideas that whole grain is terrible for weight loss since it is rich in carbohydrate calories. However, up to now, no one has proved that. As a matter of fact, with its high amounts of fiber, whole grain can be good for losing weight. Furthermore, it is a factor in lowering cholesterol, balancing blood pressure, regulating blood sugar, and preventing other diseases. If you’re weary of whole grain products, try adding it into other foods. For example, you can use whole grain flours when making pancakes and whole grain bread for sandwiches. We hope these first steps help your process of losing weight on a vegan diet! In addition to our tips above, exercising and getting enough sleep will always help your health. All content provided is for informational and educational purposes. We recommend you consult a healthcare professional to determine which method is appropriate for you. Find more of Emily Pham's home remedies here.